Me and fish have always had a bit of a fractious relationship. One day we can be best friends, the next day we hate each other. One of my favourite dishes has to be a freshly fried haddock and chips from the local chippie, whereas the thought of anchovies fill me with nothing more than bile and dread. It saddens me that something which fills so many with joy more often than not leaves me feeling empty inside, and recently, I thought it was about time that this was rectified. Tasked with making me change my opinion, these two lovely ladies thought that Sushi of Shiori would be the place to change my views about fish forever. 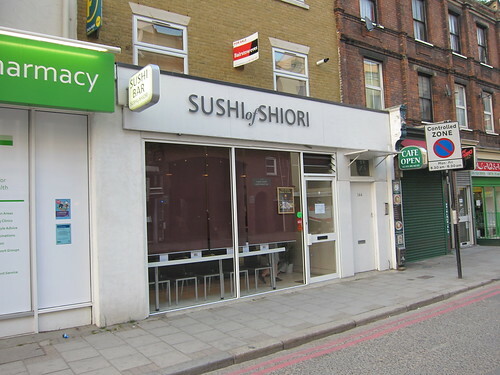 An unpretentious little sushi bar (it only seats 8 at a time) located just off Warren Street, it was decided that this would be the first stop on my adventure. Arriving at 7:30 on the dot, I quietly crept into the tiny place. I want to call it a restaurant, but there are 3 seats facing the chef (always request these if you want to see the master at work), and five seats behind facing the window. When I was told we couldn't sit at the sushi bar, I was a little disappointed but the delightfully welcoming hostess was highly apologetic, and when my companions arrived, it genuinely made no odds. The first thing that arrived was the temari, an SoS signature, and a dish which needs to be ordered in advance. 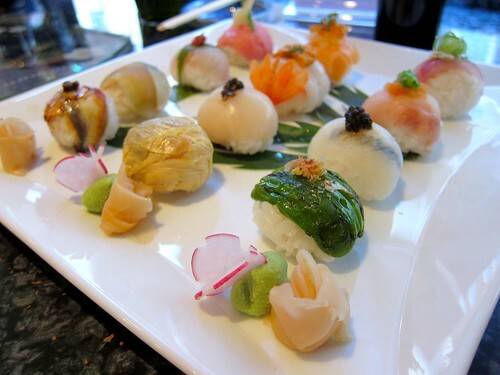 Think of it as a taster as it contains 12 different sushi balls, each expertly crafted, all different flavours, and all lovingly adorned with individual adornments designed to bring the full flavour of the "temari". 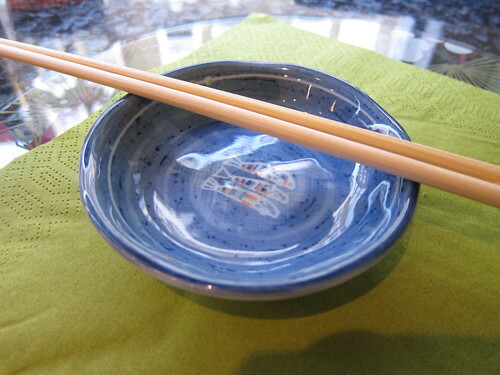 Alongside, a little brush designed to for use with the wasabi and soy to season the sushi. Apparently, the sushi should never be dipped rice side down into the soy, as the delicate rice breaks up. For my share, I was assigned the two mackerel ones (pickled and raw), mainly as the girls didn't like mackerel, but was pleasantly surprised. No overtly fishy flavours, very light and almost refreshing. We had ordered some yakitori, acting as a "safety parachute" for me, but all I could think of after my first few bites was "What's next"? This is not Toro, but Salmon. I was too busy stuffing Toro in my mouth to take a picture. This was also very nice. I liked the little bits of roe, little boosts of added flavour. I'll tell you what was next, it was the toro, and I will tell you what else, it goddamn nearly blew my mind. The tuna belly just flooded your palette with delicious fattiness, not the greasy kind you can get with pork or beef, but pure unadulterated joy. It was so tender, that the whole thing just melted in my mouth, probably as close to a foodgasm as I have got this year. 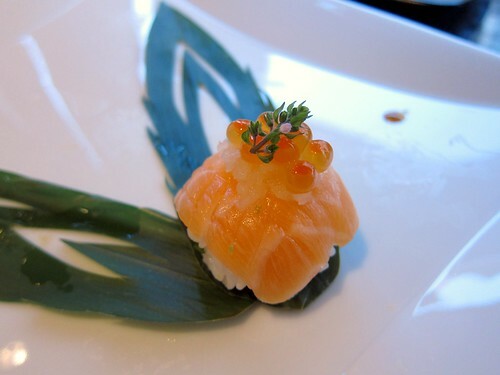 The fine shavings of ginger on top of the sushi cleaned the palate and left me ready for more. I think I actually had "a moment". We ordered a procession of other bits and pieces. Sweet shrimp was pleasant enough but probably my least favourite of the lot, I have never cared for shrimp and this did nothing to change my opinion. Eel maki (which is actually one of the types of fish I have never had any issues with) was pleasant if not all that interesting. The scallop with little flakes of truffle were also a favourite, sweet flesh with an almost gelatinous texture, all lifted with the merest hint of earthiness. We also had a lot more toro. A lot. The only other meat dish we had was the almost obligatory wagyu beef sushi, thin slices of wagyu seared and topped with a ponzu jelly. Each slice felt extremely luxurious, all the flavours balanced perfectly. It was a delicious morsel of meat, there is no denying it, but for my first taste of wagyu, it didn't really have the same impact as much of the rest of the food I had eaten. Sushi of Shiori left me aghast. I enjoyed absolutely everything I ate, and to think I was worried that I would struggle through this meal. It really opened my eyes with a new world, and now that this is conquered, there aren't many food boundaries I still need to conquer. There are very few meals where you are actually surreptitiously smiling all the way through. These occasions, which are few and far between, should be cherished from start to finish. If I had a chance to revisit this experience, the day I learned to enjoy fish, I would come back at the drop of a hat. Whenever I need a smile, I know where to go. Sniff. This entry made my heart swell with pride. I feel exactly as you did about fish. Really struggle with it but want to enjoy it as every one else seems to. HOORAY! This is most excellent news. The omekase is great too; I've been a la carte and omekase and they were both magic. have to really go there soon. I'm so proud of you and so happy to have been part of this life altering moment! Hehe! YAY SUSHI! I must admit I'm in the minority that wasn't super thrilled with my dinner at SoS, partly because I didn't think sitting right in front of the itamae was very comfortable, and partly because the fish didn't blow me away. In terms of "au courant" sushi places in London, Yashi Sushi's blowtorch sushi was delish (though their service and the downstairs seating left me cold). 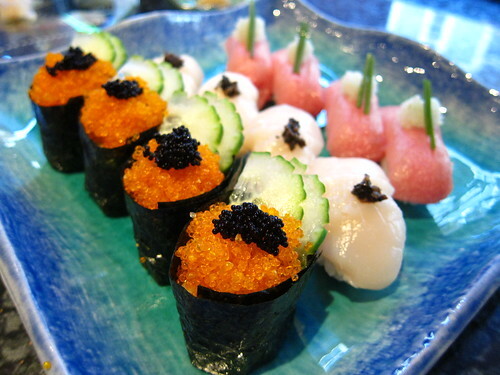 The pursuit of the perfect sushi place - neverending! @ Charz - The experience is definitely going to stay with me! TORO! @ Chloe - It will change everything, I would recommend it. @ Lizzie - I tried anchovies again, it's not going to happen. @ Ute - I enjoyed everything about the experience. Not one bad word. @ AiL - I really wanted to watch when I went to SoS, but actually enjoyed it by the window. I think sitting at the bar could be a little cramped and distracting. 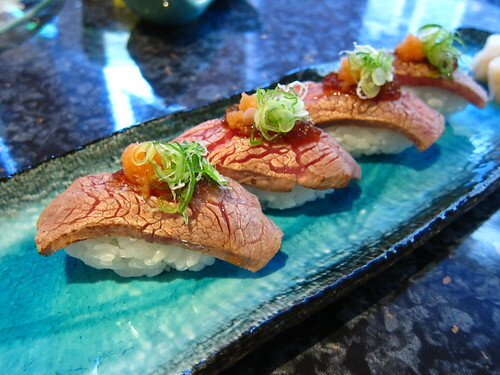 For me, the flavours were so clean, which differentiated it from other fish I have eaten. Will try Yashin at some stage, once I have saved some money!